TMJ disorder/syndrome is a condition that occurs when the temporomandibular joint (TMJ) that connects the upper and lower jaw is misaligned or stressed. 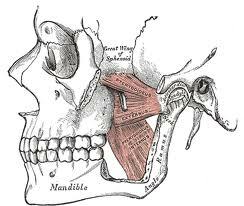 The cause of TMJ syndrome requires a careful analysis of the muscles within the jaw, face, neck and shoulders. Once the muscular imbalances have been determined, there are a multitude of TMJ treatment options available. Our TMJ Certified Massage Therapists offer TMJ exercises, external and inter oral muscular work along with neck and shoulder work to address all muscular problems associated with TMJ. What most people don't realize is the multiple symptoms that TMJ disorders can cause. Most Doctors, Chiropractors, Physiotherapist and speech-language pathologists will recommend the use splints or bit plates at night to help address the symptoms. As well, Doctors may prescribe medications to help relieve the pain or relax the muscles but like all muscles in the body a direct hands on approach that address the trigger points and hypertonic muscles usually achieves the greatest results. The TMJ Masteries certification is taught by John W. Corry RMT from London, Ontario and it entails a detailed assessment of the jaw and neck muscle, restrictions and delays, treatment protocol, principles and application that is appropriate for each clients individual needs.